Today is #GIVINGTUESDAY and I decided to put together a great list of ways you can give back through various organizations I have worked with and ones that I love. These are people that I buy from and give to! JOYN takes artisans living in poverty and joins them with the thriving fashion world. 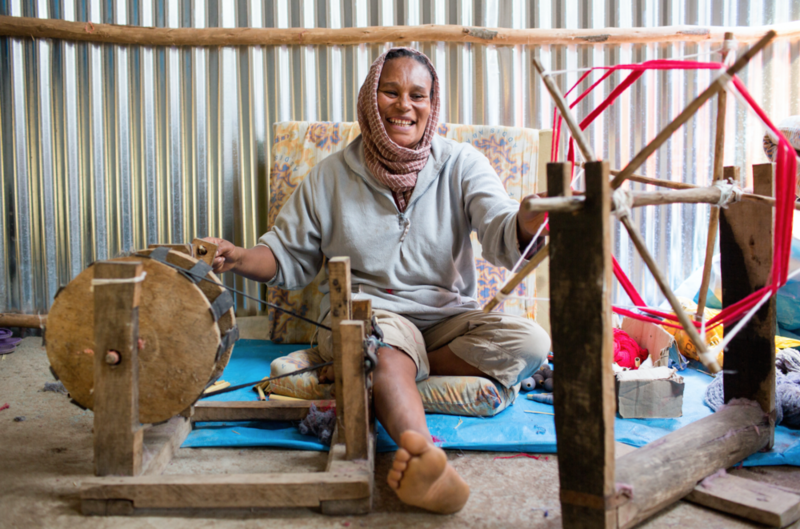 Each step of our process is done by hand—creating more jobs, bringing more joy, and connecting more artisans with YOU. I have personally worked with them for years and love visiting their artisans in India. Countless stories of families living their dreams because of this company. They make beautiful products. Sponsor a child! This is my sponsored child Kevine and I love writing letters with her and visiting her in Rwanda. She wasn't in school when I met her and is now attending class everyday and learning English. I recently wrote about why I choose to sponsor her in the text below. It is a long term commitment to choose to do this but there are few greater organizations to choose sponsorship through than Africa New Life. It was started by a Rwandan and the majority of the staff are Rwandan - I love that! I not only get to work on stories for them but I also support them financially and visit yearly. This is little Kevine that I once photographed as a baby in 2008 and then went back go find her last year and enrolled in the sponsorship program. "I sponsor because education not only changes the course of a child’s life, but can also change the whole family’s life and bring them out of poverty. I want to see more of that happening in the world. I actually used to not be supportive of sponsorship programs, but after listening to countless stories of children who wouldn’t have the opportunity to go to school unless they were sponsored and hearing from entrepreneurs building business because they were once sponsored, my thoughts on it began to shift. No child should ever grow up without learning to read and write. I sponsor because it’s one of the small things I can do each month to see direct impact happen in a person’a life. It also creates a bridge between you and that person on the other side of the world to communicate and build a relationship together that could last a lifetime." Preemptive Love Coalition is known for their life saving heart surgeries for children. They do a lot more than that these days. They have jumped into the role of providing emergency relief for families displaced in Iraq. I know many people have asked how to give to refugees. I believe this would be a great organization to consider for that. Raven and Lily works with women artisans in 9 countries to provide jobs for over a thousand people. I have photographed with them a few times in India, Kenya and Ethiopia and fell in love with the women making their products. Their jewelry and home goods will make great Christmas gifts! I had the gift to capture photos and stories for FashionABLE in Ethiopia last summer. They are know for investing in women across the world! Great products and Christmas Presents that are creating jobs! I've travelled with The Seed Company quite a bit over the past couple of years. I am quick to tell people to invest in their Bible Translation work because it's AMAZING. They are partnering with incredible organizations that training locals to translate the Bible orally in the more remote parts of the world. If we really want to see Life Transformation happen.. I believe this is the way we start. You can read some of the stories that i've worked with them on Exposure. In their own words......Sseko Designs is an ethical fashion brand that hires high potential women in Uganda to make sandals to enable them to earn money through dignified employment that will go directly towards their college educations and ensure they will continue pursuing their dreams. I have a pair of these Blue Suede booties and love them!